Inkline Print & Signs design vinyl & mesh banners to suit your needs. Our vinyl banners are perfectly sized, printed in full colour, professionally hemmed, finished with ropes and customised with grommets – all depending on your precise requirements. 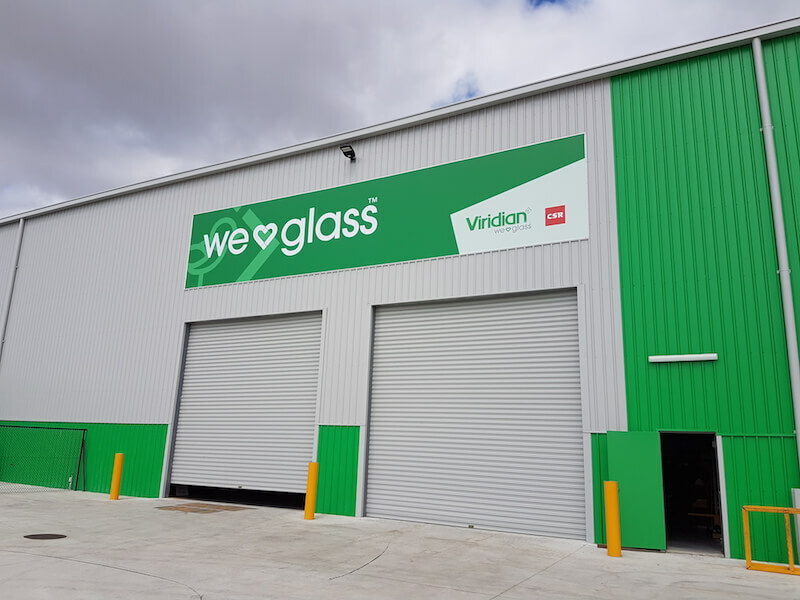 With high quality durable materials and creative designs, we make sure that you are completely satisfied with your investment in vinyl or mesh banners. 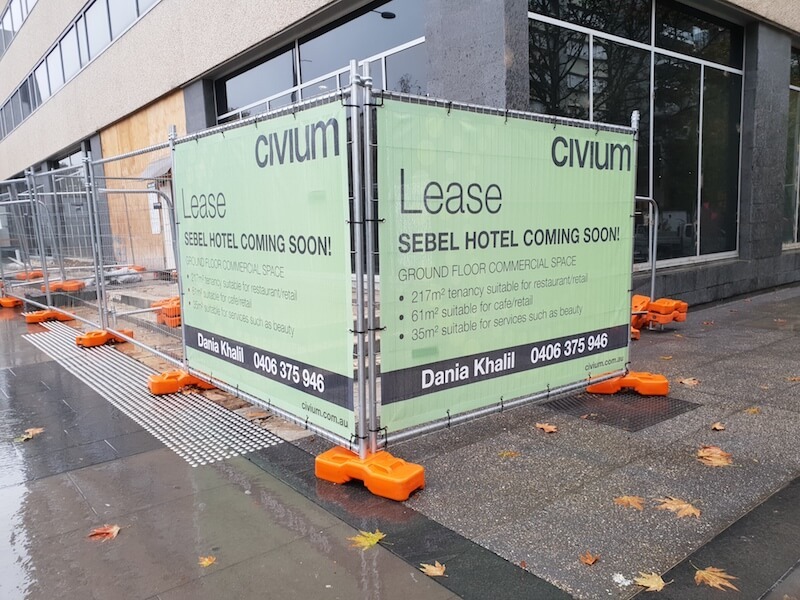 Why Vinyl & Mesh Banners? 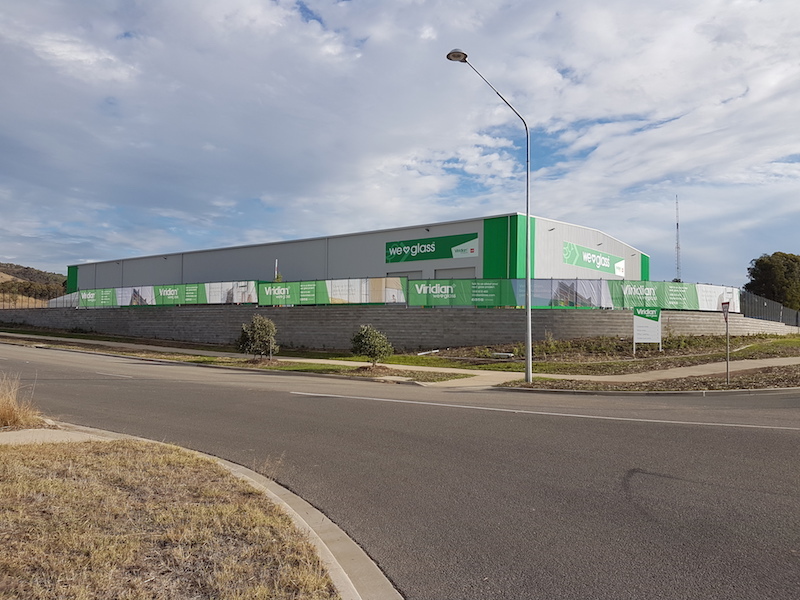 Vinyl & mesh banners are durable, weather resistant, economical, highly flexible in usage and offer excellent visibility. Place these banners in front of your store, in your store windows, at event venues or in other public places to help spread awareness and highlight special aspects of your business. You cannot go wrong with beautifully designed banners. The good thing about using banners is that you add details about your business, highlight special aspects and spread awareness about your business. In fact, banners are not just meant to give out information; they can also be great branding accessories for your business. 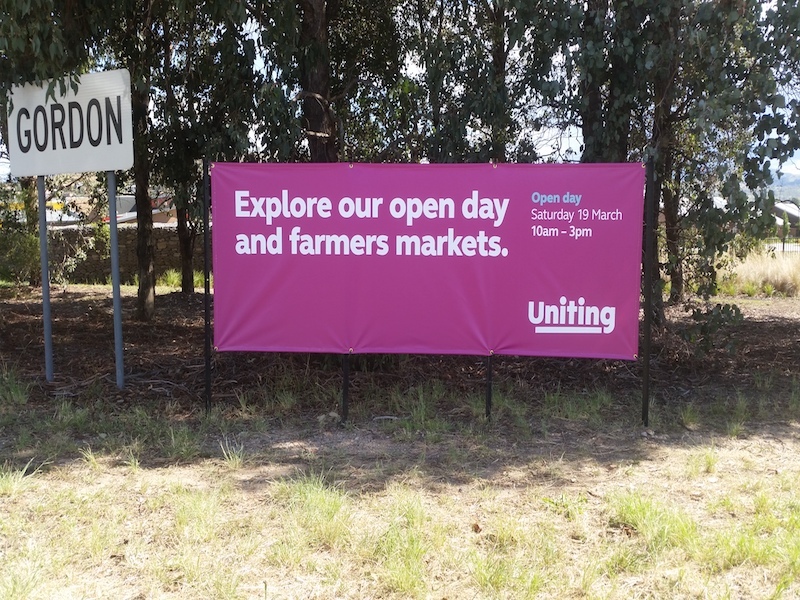 Our innovative patterns, advanced printing technology, choice of colours and effective lettering ensure that your banners have a high impact value. We offer customised banners of any length and up to 1600mm in width. 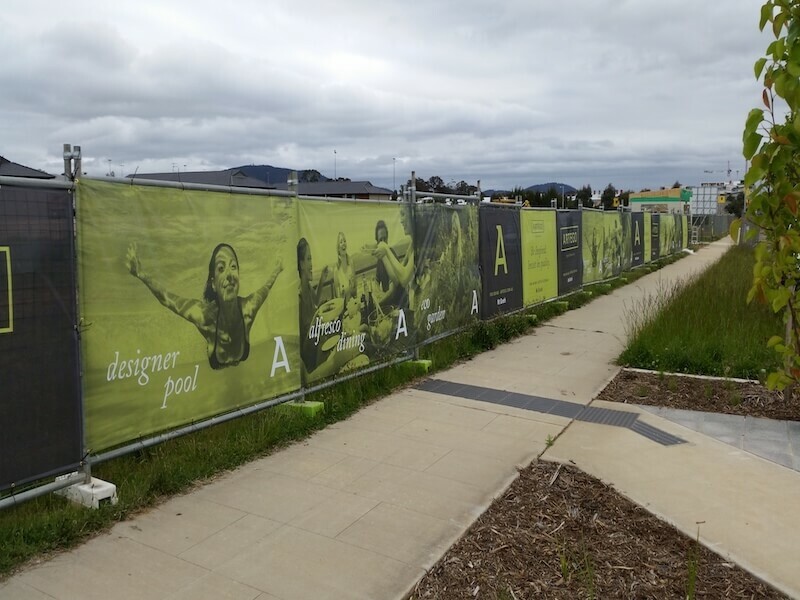 Our digitally printed vinyl & mesh banners are good for both indoor and outdoor usage. Depending on your requirements, we create single or double sided banners. We serve the Canberra, ACT and Queanbeyan regions. 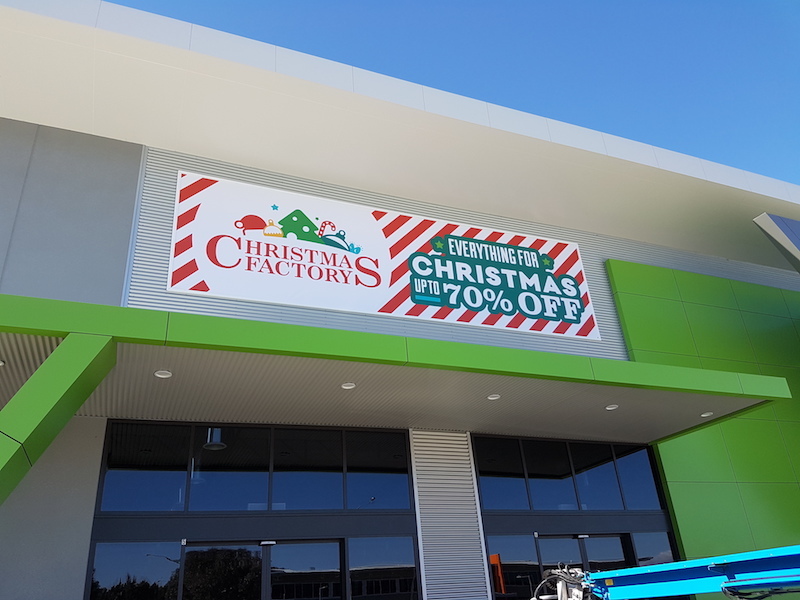 Contact us or call 6297 1633 today for high impact vinyl and mesh banners.